Will Unions Lament the Attacks or Lead a Fightback? What’s at stake is not just a new round of concessions. The aftermath of the deepest capitalist crisis since the Great Depression has provided political and economic elites with an opportunity to lock-in two longer-term changes: a reduction and privatization in public services on a scale not seen before; and – with private sector unions devastated by job loss and unable to significantly expand unionization – weakening the remaining stronghold of unionism – public sector workers. The attack on public services is commonly posed in terms of ‘cutbacks,’ but it is crucial to also link it to privatization. For some time now corporations have been chomping at the bit to profit from what are now public services. Governments have been moving to accommodate this by restructuring how these services are organized and delivered so that they can – piecemeal if necessary – be privatized. The crisis in government finances is being used to accelerate this trend. The end result will be losing services that aren’t privately profitable and sacrificing quality and access while paying more for the health care, garbage collection, utilities, mail, and all the other services that are left and that we will then need to buy (or still finance through taxes). An effective response requires a social movement much stronger than what we currently have; and this raises the issue of the attack on unions. We obviously need to fightback; we know from experience that if we don’t, that only invites the other side to be even more aggressive. But given what we are up against – a state determined to change the rules – it’s also clear that ‘business as usual,’ even if more militant, won’t be enough. We need to engage this struggle in new ways and this means re-evaluating everything about our own union structures, processes and strategies. Unions emerged as sectional, not class organizations: they united workers in a particular workplace or sector and focused on making gains for those particular members. In an earlier time, this achieved important benefits that were subsequently spread to others beyond the unionized sector. But when circumstances changed and corporations and governments concluded that working-class gains had to be reversed to preserve profits, we were ill prepared to address their new aggressiveness. That former legacy of concentrating on our own compensation and conditions left us fragmented and vulnerable to the latest attacks. Governments have been exploiting that weakness for some time and are now more aggressively trying to use fiscal deficits to isolate public sector workers. This involves framing the choice as being between the level of worker compensation and the level of public services. With the rest of the working-class taking it on the chin, the fact that the public sector remains relatively well-off aggravates the danger of its separation from the rest of the class. The retreats in the private sector, the cutbacks in employment insurance and increase in precarious work, the continuously falling rates of social assistance (now 55 per cent lower in real terms than in the mid-1990s as neoliberalism consolidated as the prevailing policy framework). All this leaves public sector workers open to resentment. To argue that we’ve always supported better social services, point to our progressive union conference resolutions and insist that the rich should be taxed to pay for decent services and fair compensation are all valid. But they won’t convince those we need to reach. Our commitment must be proven in practice, through the priorities we set and carry out. This means making a strategic choice: we must rebalance our focus from traditional collective bargaining to identifying the defense of public services as a primary priority and take on – in bargaining, in our relationships to service recipients, and on the streets – the leadership of the fight for adequate, high-quality and responsive social services. 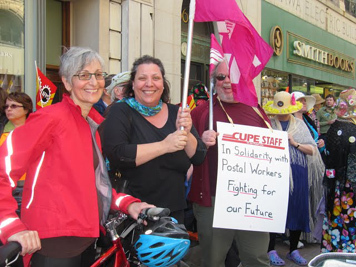 Postal Workers (CUPW) are supported by CUPE, PSAC, Raging Grannies and others during their rotating strikes, June 2011. It is important to be clear about what such a reorientation means. It will require radical changes to all our strategies, tactics and structures. It implies reallocating union resources, building new local and sectoral as well as national capacities, a profound deepening of membership participation, rethinking how we relate to the community, daring to publically expose poor services while speaking to how they could be improved, and developing the confidence and vision to move beyond fighting on ‘their’ terrain – a terrain on which competitiveness and keeping bankers solvent and happy dominates all other values. It essentially involves, to put it bluntly, a revolution inside our unions. Many activists and leaders will be nervous about such a transformation in union life. Given the union culture they’ve grown up in, they may view this as ‘trading’ off their entitlements for a worthy but secondary cause. The reality however is that first, the level and quality of public services are hardly a ‘secondary’ issue; they represent the crucial contribution public sector workers make to the rest of society. Second, improving the level and quality of services are inseparable from improving our workloads and working conditions. And, third, we need to come to grips with the fact that as things stand, though we need to continue to defend our past gains and may win some short-term battles, we can’t win the war – no matter how legitimate our demands are – unless we broaden our struggle. Trade unionism as usual will only lead to public sector workers becoming even more cut-off and vulnerable. Developing the strength to defend our jobs and conditions can only come from getting a key part of the public on our side. 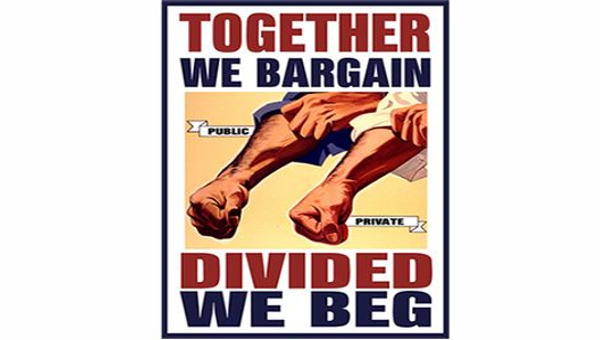 If we can’t find ways to develop this kind of public support – especially from other sections of the working-class, be they unionized or non-unionized, fully employed or precariously employed, unemployed or the poor – we won’t get very far in sustaining our wage demands and benefits, raising the standards of lower paid members, or defending working conditions. Moreover, while the primary focus of unions has been on bargaining collective agreements and resolving workplace grievances, the attack is now coming directly from the state, and it will come on many fronts at the same time – from attacking seniority rights of teachers to privatizing health care services, to limiting the right to strike. 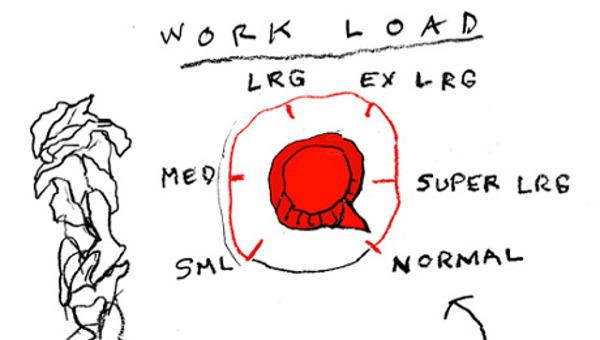 This reinforces the limits of struggles confined to our own particular workplaces, sectors and unions. Those struggles can only have a chance of widespread success if taken on as a class, alongside the rest of labour and new allies. The social cuts and attacks on union rights that we’ve already seen in Canada from politicians of all stripes are clearly going to get worse. The more aggressive cuts in the U.S. can be expected to bring mounting pressures for the same here and we of course already have our own home-grown politicians and economic elites ready to lead that charge. With Rob Ford as mayor of Canada’s largest city, Toronto; Stephen Harper’s having a majority in Parliament; and the Ontario Tories of Tim Hudak now leading in the polls against the Liberal government of Dalton McGuinty; it would be foolish to underestimate what we are about to face. The Ontario Tories’ platform includes compulsory tendering of support services across the public sector – everything will be up for sale. Legislation would presumably be introduced to over-ride collective agreement provisions that would otherwise obstruct such tendering (since the constitution blocks this being done unilaterally, this would most likely follow a period of so-called ‘consultation’ with public sector unions to protect against a legal challenge). Should this become a reality, support workers such as cleaners and food service staff would be ‘allowed’ (encouraged) to bid against corporations for their jobs – which could only be done by agreeing to significantly cut labour costs to compete in this new market, including not just wages but benefits and defined benefit contribution plans. Those who don’t compete lose their jobs under this proposal. Because the proposed tendering policy targets support workers while at the same time protecting teachers and nurses (for now! ), the Conservative’s platform also threatens to divide the unions. One response from unions may be to simply ignore or downplay the threat. Based on responses to date, a good many public sector union leaders seem complacent after a decade of growth in membership and members’ incomes, and are distracted by day-to-day responsibilities. The loss of 600,000 public sector jobs in Britain to austerity, or the layoff of 60,000 Texas nursing home workers thanks to U.S. federal budget cuts, are seen as unique, distant and unfortunate events rather than a systematic pattern of attacks on the working-class which will also play out here. Another response will be to look to political parties to save us, and unions will spend millions to affect the outcome of the election. Teachers, registered nurses and trades, identifying the Liberals as the lesser of two evils, will support the Liberal Party while some private and public sector unions, emphasizing their traditional ties, will support the New Democratic Party (NDP). The problem here goes beyond the electoral divisions in the labour movement. There is a history of the labour movement’s electoral involvement and even where we have been united around social democratic parties, the results – not only in Ontario but in other provinces, and not only in Canada but elsewhere – are sobering. The issue is not whether elections matter – they obviously do – but rather that we need to be frank about the limits of even ‘sympathetic’ political parties as they now stand. No party is committed to a fundamental challenge to financial and corporate power. No party is arguing that in a society that is so much richer than it was a generation ago, workers should be raising not lowering their expectations. No party is looking to develop the working-class into a powerful social force. No existing political party will save us. The point is that ‘politics’ needs to be redefined as building the kind of working-class organizations and capacities that can ensure that our needs are taken seriously. This means public sector unions using their significant resources to advance a political agenda that includes the entire working-class. To the extent that this includes electoral politics, it means a number of things. Our support must not be given automatically but be conditional on a party endorsing specific policies that defend all working people. We need to be wary of political alignments and deals in which professional, trade, or craft interests are delivered legislative improvements in return for supporting, or at least not criticizing, other government policies. This ‘transactional relationship’ between unions and governments tends to turn what should be a class-based politics into a class-divisive politics (e.g. the Ontario government providing special union certification procedures for the construction trades while denying them to other sections of labour). Beyond policies, we must fight against the stultifying identification of politics solely with parliament and insist on the use of party resources, structures, and its authority to escape the narrow confines of Ottawa and actively mobilize in the community (this is especially important in Quebec where a number of union and movement activists have been elected to the NDP). Unions’ electoral activity must not come at the expense of adequately supporting the infrastructure and campaigns of movements that are addressing, on a relative shoestring, crucial issues like universal childcare and fighting poverty. We cannot allow, most importantly, electoral activity to replace the independent mobilizations of the trade union movement. Without any substantive independent weight, our demands could be set aside and our support simply taken for granted (a past lesson we’ve learned the hard way). The last thing we need is to put all our eggs in the election basket and wake up one morning with the Tories in office. The Tories would be moving rapidly to freeze wages, limit political involvement by unions, restrict bargaining and introduce tendering while also significantly cutting transfers for public services – and we’d be left scrambling to make up for the preparations that should have long been going on. If the only thing that will prevent Ontario’s public sector workers from being defeated in the coming battle will be our resolve to engage in militant action, intelligently and creatively deployed to build public support, then how do we build that kind of movement? A starting point is to acknowledge the weaknesses within our own organizations – weaknesses that pre-date the present attacks. (There are of course pockets of impressive strength in our movement, but it seems fair to say that these are exceptions.) Our weaknesses range from debilitating cultures of bureaucratization, to thin and ineffective democracy, inadequate expressions of class solidarity and little strategic sense of how to respond to the great changes that have occurred over the past three decades. Union leadership needs to relinquish mechanisms that were used to maintain political control through the period of relative prosperity for the public sector. The very characteristics that some leaders find threatening – creativity and militancy – are the strengths that are now needed from leaders at all levels of the union. Dissent needs to be seen as strength, because debate makes us look at issues more deeply. An effective democracy includes building the capacities of local unions by passing on a significant share of national resources and a doubling or trebling of union activists that have the ability to mobilize the memberships. Local leaders, whose training currently emphasizes workplace and legislative issues, need to be trained and supported so they can also lead larger campaigns in defense of their members and services. Although many public sector unions have established intermediate structures across locals in the same sector, they rarely include the accountability mechanisms or full time officers, assigned staff and necessary funds to do real mobilizing and campaigning. They consequently often offer only the mirage of sector coordination. Such sectoral organizations also need to be democratized – that is, they should be led by elected members and provided the resources to coordinate fights beyond locals. (And where such sectoral arms of labour don’t exist, they should be established). In too many public sector unions, corporate cultures are making staff activists cynical. Activism drains away in hierarchical environments where creativity is frowned upon, honest criticism is punished, and staff are reduced to being technicians rather than allowed to be activists. The thousands of staff in full-time positions are a major resource for organizing and mobilizing our members and communities into the coming fight, but only if they are given the space and encouragement to lead and rediscover the enthusiasm and optimism that first brought them into the movement. If unions (including public sector unions) follow through in commitments to increase the rate of private sector unionization, this comes up against limits on staff times. If they are to be redeployed to organizing and campaigns, members in local elected positions will have to be trained to handle some functions currently done by staff, and new activists will have to be recruited and trained to carry through the expanded demands on the union. We must be absolutely adamant about not compromising the defense of services for promises of ‘labour adjustment.’ It is unfortunately natural for unions to accept trading off jobs for redundancy payments – that exchange follows the nature of collective bargaining and its legalism – but it is a dangerous trap. It further legitimates drastic downsizing and cuts to services and so turns our back on the public while casting the laid-off workers into an economy where they will likely never earn as much again. The struggles of private sector unions to defend their pensions or to fight concessions have often been fought as local struggles. But as their standards fall this is quickly translated into pressures for public sector workers to also lower their standards. As a matter of both solidarity and self-defense those private sector fights need much greater support from the public sector. A neglected dimension of mobilizing our potential strength, especially in the private sector but now also in the public sector, is retaining contact with those laid-off. Unions should be providing not only services, but opening their union halls to the unemployed as a space for discussion and education as well as music and films – all part of easing their social isolation and mobilizing their frustrations. (Absent such support, it’s hardly surprising that a good number of newly unemployed workers see unions as only being there when these workers paid dues, and so turn against unions). Public sector unions need to invest in activist anti-poverty organizations and organizations of precarious workers that can rally communities behind demands for living rates of social assistance, public housing, free and accessible transit, and minimum, enforceable labour standards. Where we directly interact with the people who receive the services that our members provide, we need to find ways to collectively address how to overcome or at least limit the tensions that often exist because of the nature of the relationship. This includes being frank in exposing weaknesses in the services provided by the public sector and using our direct experience and knowledge to lead the discussions on how they can be improved. As we struggle with renewing our unions, there are a number of past and present trade union experiences and examples that are worth reviewing and learning from. In the mid-1990s, the Ontario Days of Action introduced an internationally unique form of protest. Confronted with massive cuts to social programs and the erosion of labour legislation, unions and social movements worked together in an imaginative and disciplined spirit to hold a series of one-day general strikes moving into different communities over a 30-month period.With workers asked to lose a day’s pay and risk employer retaliation, unions were pushed to explain the importance of issues beyond their members’ immediate bargaining interests. And with the press warning of hordes of union organizers coming to their community, local debates intensified over the Mike Harris cuts. One limit was that, after building new labour-community structures in various cities, we didn’t keep them in place after moving on to the next shutdown. It would be worthwhile returning to that experience to more generally ask what – both positive and negative – it can teach us about becoming more successful next time. CUPE, Canada’s largest union, funded the Ontario Council of Hospital Unions (OCHU) to sponsor a joint forum last fall with the Ontario Coalition Against Poverty (OCAP) (under the auspices of the Greater Toronto Workers’ Assembly) on the relationship between cutbacks in the special diet and poverty and health care service privatization and an expanded forum is planned this summer, this time in conjunction with other healthcare providers on the relationship between poverty and health outcomes.More recently, CUPE Ontario, using resources from its national union, hired an organizer to work full-time, in cooperation with OCAP, on the education and mobilization of CUPE members around poverty issues. As well, OCAP has been invited to speak to CUPE’s front-line workers about mutual interests but also tensions. This kind of tangible engagement, moving beyond well-meaning rhetoric, holds out the hope of convincing others that unions do in fact speak to a larger interest. In response to Toronto’s drive to garbage privatization, CUPE’s Local 416 didn’t simply threaten a strike that it likely couldn’t sustain, but put together analysis and information that a trained cadre of rank-and-file workers used for door to door canvassing of support from the households they service. And both the Toronto Hydro workers and the Amalgamated Transit Union have experimented with public forums where the union – not management – invites the public in to discuss the quality of services and how they can be defended and improved. In the educational sector, CUPE’s janitorial and educational support workers (Local 4400) have hired eight full-time organizers to mobilize at the community level against threatened school closures. Though an important defensive battle, it also raises larger issues about public spaces – if there is no reasonable reason to keep a particular school open, why can’t it be converted into a community space for public meetings, adult education, childcare, workshops on videos or photography, recreation, or even a space where supervised tools and computers and arts and crafts can be collectively shared by the whole community. In the early 1990s, when the government tightened unemployment insurance (UI – as it was then called) and pushed its employees to cut more people off from qualifying, the union – the Public Service Alliance of Canada – found a way of expressing meaningful solidarity. It put together pamphlets on how to answer questions so it was harder to block people from being disqualified and, since the front-line workers couldn’t distribute them at risk of discipline, the union had other members as well as staff distribute them outside the UI offices. Other examples, and crucial challenges for public sector production and work, is emerging out of the current crisis of public services in Canada as the turn to austerity sets in. Could transit workers who are engaged in a dispute show their support for free and accessible transit by not collecting fares before withdrawing their services and refusing to police the paying of fares if they are denied the right to strike? Could garbage workers defending the public provision of the essential service they provide take the lead in redirecting garbage bags to the financial district rather than to our parks when their service is interrupted? It is also worth asking, as the attacks on public sector work escalates, whether it makes sense to leave it to each union in the public sector to go on strike according to their own schedule and strength. In most cases, such strikes will quickly be made illegal or ended through public pressures but even where the occasional union holds its own, they will become the target for isolation and more intensive pressures for rollbacks later. Wouldn’t it be better, in the strategic spirit raised above, of coordinating a larger response of rotating strikes across sectors and creative disruptions in each sector? One idea discussed within CUPE goes further. Its Ontario hospital division, OCHU has been conducting provincial demonstrations and many community fights against hospital service cuts, but understands that more pressure is essential to defend the hospitals from closure and privatization. Withdrawing labour to defend hospital services seems contradictory, so the question was how to act in a way that avoids or limits negative impacts on patient care and the consequent loss of public support. Union activists are now discussing the possibility of experimenting with a new tactic: a work-in rather than a walk-out – a counter-strike. Members who are off work would come in to work at a specific time to highlight the crushing workloads and the large cuts to staff and beds in Ontario (19,000 over the last 20 years in Ontario while needs were growing). This approach would demonstrate the kind of services that could be provided if these services were in fact a social priority. The actions could be rotated across communities, concretely demonstrating the reluctance of workers to withdraw their services and their commitment to their clients, while putting management on the spot publically. In placing the level of services on the bargaining table, the union would be both challenging management rights and politicizing bargaining in the sense of challenging the state’s pressure for cutbacks. The work-in seems to pit the members’ traditional entitlements against the defense of the service. But that is also its strength because it can only be discussed successfully in the context of the austerity agenda and the need for approaches that build alliances with the public. That activists remain skeptical about this tactic is understandable. Some see it as a betrayal of the basic principle that union strength is about withdrawing labour, not working for free; to others, the contrast with past tactics raises new complexities and uncertainties; and some are uncomfortable with the added pressures this would bring to educate and mobilize the members. It therefore requires the union to convince activists that it will both provide central coordination and also resources for local mobilization, as members will have to be won over to the tactic in unit and department meetings. In any case, just raising this issue has forced the need for broader membership involvement in the debate over strategy. It will go forward but as an experiment in one community, which will be followed by analysis and more discussion. One of the key on-going questions facing the union movement – all the more so as private services expand at the expense of publicly-organized services – is that of unionization. In the U.S., unionization in the private sector is now under 7 per cent and including the public sector it has now fallen below 12 per cent. Though our union density remains much higher than that of the U.S., the American figures are an uncomfortable warning about our future. Because unionization is approached as a matter of gaining members rather than building the working-class, unions increasingly compete for those members rather than co-operating to bring some organizational strength to groups of workers. This wastes resources and often also leads to unions undermining each other’s drives. Consider, for example, Ontario’s homecare system. There are approximately 20,000 unorganized homecare workers in Ontario. After the Conservative government introduced compulsory tendering for homecare services in the 1990s, non-union multinational corporations with much lower labour costs largely displaced the not-for-profit unionized agencies. Unions that successfully organized homecare workers found that their new units were lost the next time the contract was tendered because of their higher costs and this generally discouraged unionization. The compensation of private homecare workers – $12.50 an hour, no guaranteed hours of work, no pensions or benefits – is accelerating the movement of work away from the unionized hospital and long-term care sectors. It’s an example of an organizing dilemma that likely can only be solved through cooperative organizing by multiple unions with a sector-wide focus. The point would be to pool our resources, organize all of the unorganized agencies at once, bargain as a council of trade unions, bring the state rather than the individual corporations to the bargaining table, and use militant action to move these workers to compensation comparable with the public sector. But that kind of strategy is conditional on first going a much further way toward changing our unions. In the 1930s, in the midst of the Great Depression and unemployment rates over 20 per cent, workers ‘invented’ an industrial unionism that overcame divisions between skilled and unskilled workers, introduced the tactic of sit-down strikes, initiated their own democratic structures via elected stewards and generated industry-wide pattern bargaining. 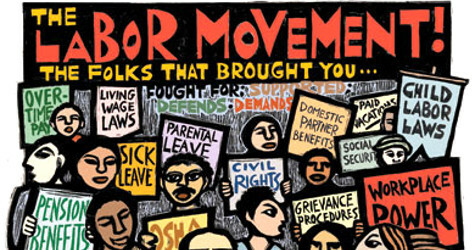 Those breakthroughs were largely responsible for later bringing us many of our social services and benefits and, in the 1960s, the breakthroughs of organizing in the public sector by workers tired of government paternalism. That public sector breakthrough also created vitally significant new opportunities for women and revived the trade union movement more generally. In that earlier period, capitalism legitimated itself by offering steady material gains, the promise of greater equality, a more meaningful democracy, and a quality of life that went beyond the pressures of economic survival. That era is over. Today, the message is that if you don’t like the way things are, tough – you have no alternative. The real lesson of course is that if the present economic system can’t offer us a better life, then it is that system, not our expectations that needs changing. Business elites are attacking the last remaining stronghold of unionism – public sector workers. Michael Hurley says creative new strategies are needed in response. 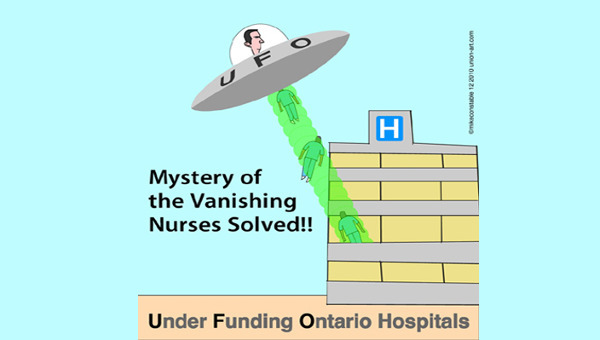 Hurley is President of the Ontario Council of Hospital Unions, a division of CUPE; interviewed by Lorraine Chisholm of Redeye – Co-op Radio.